Create, capture, and share your remarkable moments. Effortlessly boost performance and efficiency. Experience Radeon Software with industry-leading user satisfaction, rigorously-tested stability, comprehensive certification, and more. Note: Windows 8 has not been updated (new version only for Windows 10 and 7). 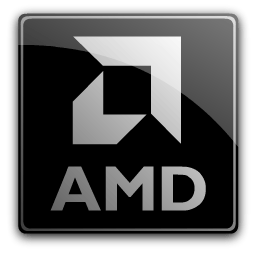 Note: You can download the latest AMD Radeon Crimson Edition Graphics Driver Hotfix here. Radeon ReLive Toolbar and Instant Replay features may experience issues or fail to work when playing Guild Wars 2. Radeon Software Installer may shrink or appear very small when installing on some 4K HDTVs. Radeon Settings may sometimes experience a hang or crash when viewing the Display tab. Moonlight Blade may fail to launch on some Radeon Graphics Core Next series products. Titanfall 2 may experience a hang or crash on some Radeon GCN1.0 series graphics products. Random corruption may appear in Microsoft desktop productivity applications. The drop down option to enable Enhanced Sync may be missing in Radeon Settings on Radeon RX Vega Series Graphics Products. On a limited number of systems Radeon Software may display an erroneous "1603 Error" after installing Radeon Software. This error will not affect your Radeon Software installation. GPU Scaling may fail to work on some DirectX 11 applications.